“The Millesima Blog Awards” has been created to give to our 77,000 cherished customers the most qualitative and independent content about wine while honoring the American wine blog community. A selection of 10 bloggers has been chosen for each of the following categories: wine tasting blogs, wine news blogs and winery blogs. The 30 blogs selected to participate have been chosen based on their relevant and high-quality content, to supplement Millesima’s profound knowledge of the world of wines. Gerard Spatafora, E-Commerce & M-Commerce manager at Millesima since 2007, wine industry connoisseur and Italian wine aficionado, wished to launch these Blog Awards to deliver independent and qualitative content to the customers. Hortense Bernard, General Manager of Millesima USA, oversees a team ready and willing to assist and give recommendations in their Manhattan store, open since 2006. She believes more than ever that passion is meant to be shared, especially when discussing wine between professionals and wine devotees. To round out the selection committee, Fabrice Bernard, CEO of Millesima trusts largely in this project from its inception through team support. In addition, his recent visit to the store in NYC has led to many ideas for future projects for the American wine community. Using Millesima’s well-established communication channels, our favorites bloggers are promoted to over 50,000 Facebook Fans (including 12000 for the NYC page), 3000 Twitter followers and 1000 daily Millesima’s blog readers. 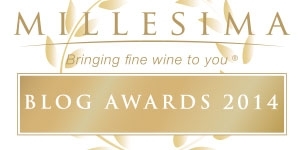 For more information on the Millesima Blog Awards 2014 and to see the list of winners, check it out this link. 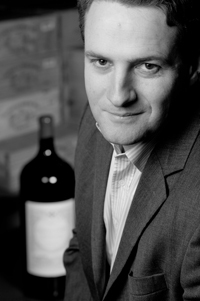 Millesima USA was established in 2006 with the mission to bring to the U.S. market the unparalleled selection and dedicated service that has established its parent, Millésima S.A., as Europe’s undisputed leader in the sale of fine wine futures and grand cru wine directly to consumers. Previous: What is sparkling wine?